As people across the globe prepare to raise a dram in celebration of World Whisky Day on 20 May, it is the perfect time to regain a thirst for the ‘Water of Life’ and embrace all things Scotch whisky, with some incredible festivals, tours and experiences all in honour of Scotland’s national drink. 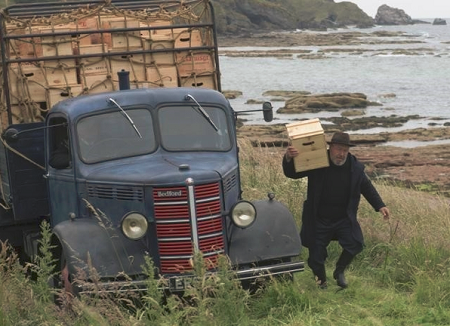 It is also the ideal opportunity to reacquaint oneself with the classic story Whisky Galore!, originally written as a novel by Compton Mackenzie, which was made into a film in 1949. It has been re-made for a new audience: the new version starring Eddie Izzard, Gregor Fisher and Game of Thrones’ James Cosmo has been shot at various locations in Scotland and will be sailing onto UK film screens from 19 May. With well over 100 distilleries producing five different blends covering five whisky regions, massive festivals, wonderful attractions, and plenty of amazing bars and whisky clubs to delve into, Scotland is the place to enjoy a dram come World Whisky Day and beyond. As the world’s appetite for Scotch whisky increases, so does the need for more. Here a number of the new distilleries and tours opening up over next 12 months across Scotland. The first distillery to open in the borders of Scotland for almost 150 years will begin distilling in 2017! The whisky, which is expected to produce a light, fragrant and floral style of malt whisky, will enter production in the summer, with a small visitor centre and tours following quickly after. May isn’t the only month for whisky celebrations; check out these events taking place throughout the year.